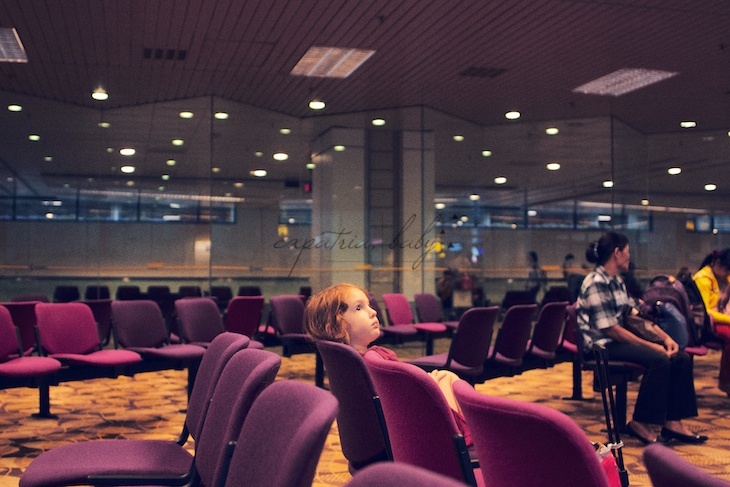 This picture has kind of nothing to do with anything except that it's in the Singapore Airport, and it's Stella and she's kind of the best, so. I'd gotten pretty used to the laid-back approach to pre-nantal care in Jakarta. I go to my clinic, pee on a PH stick, get my blood pressure checked, get weighed (they don't even COMMENT on my enormous weight gain, TAKE THAT, Japan), and then pop in for a quick visit with the Doc. It's a brief "Hello, how are you, any problems, okay ultrasound time!" And then we're done. When I showed up at the clinic in Singapore for my anomaly scan, I had to go through the registration process. They ask a lot of questions. Like they want to know every detail about both parents' lives, occupation, place of employment, and religion. RELIGION??? What? Excuse me. How exactly does this impact my medical care? Oh, and another favourite of mine: "Name of husband/guardian." Guardian??? GUARDIAN? Is this real life? Is this the 21st century, Singapore? What you're saying is that if I didn't have a husband I'd need a GUARDIAN?? And anyway, how exactly does my marital / guardianship status influence the doctor's ability to evaluate my pregnancy??? Because I'm such a pedantic peach, I obviously took this is an opportunity to point out the absurdity of this question, but passive aggressively because that's how I roll. So I circled that offending part of the registration form and cover it in exclamation points. You know. Anyway, my Singapore doctor did not bring up either my religion or my guardianship status. Thank Feminism. He did, however, complete a super thorough exam of the baby, the likes of which I'd never before experienced either in Japan or here in Jakarta. It's funny. When I went into see a doctor while on vacation in Canada when I was pregnant with Stella for reasons having to do with FIRST TIME MOTHER FREAKING OUT, all the doctor did was to have a little chat, have the nurse get out the doppler, and take a quick listen. Brush hands and done. In Japan, and here in Jakarta, it's all ultrasounds all the time. Wanna see if you're really preg? Let's do an ultrasound at six weeks! Eight week appointment? Ultrasound. Worried about your pregnancy for no good reason? Come in for an ultrasound, NBD! And Iet's not joke around, I kind of love that. Before reassuring kicks to the bladder become a regular thing, it's really nice to actually see the baby and know that all is fine. And also, it's great to check in on things later in the pregnancy and make sure that all looks good. You know? I think North America should get on this ultrasound train. Anyway, my Singapore ultrasound. When it was all finished, the doctor typed up a five (FIVE) page super official report including graphs and measurements and other science things and handed it over along with a DVD containing all the images form the ultrasound. Which totally surprised me. But shouldn't have. Because, duh, it's Singapore. What's the deal in the US / Canada / Europe / Elsewhere. Do you get multiple ultrasounds? A five page post scan report? Graphs? Quizzed on your religion and who owns you? Just curious. Oh, I've kind of majorly dropped the ball in the Top Baby Blogs department. They reset their numbers and I'm like totally slipping! 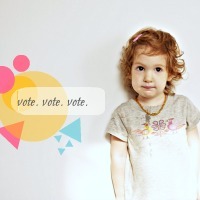 Can you give us a vote? I'd super appreciate it!! !